The holidays are filled with various traditions and it is these traditions that make them so memorable and comforting (at least the good ones do). The most common holiday traditions are centered around family activities, but that doesn’t mean you can’t have your own personal/individual holiday tradition. After all, sometimes you could really use some time to yourself...a break from all the social gatherings that tend to take place this time of year. Several years ago I stumbled on to my own such personal holiday tradition, a gaming tradition. I’m not a huge gamer by any stretch, but I have certainly been known to spend an hour or two here or there playing a video game or two. I started playing Angry Birds. Sounds like more of a confession than anything doesn’t it? But it wasn’t just your garden variety of Angry Birds. No. 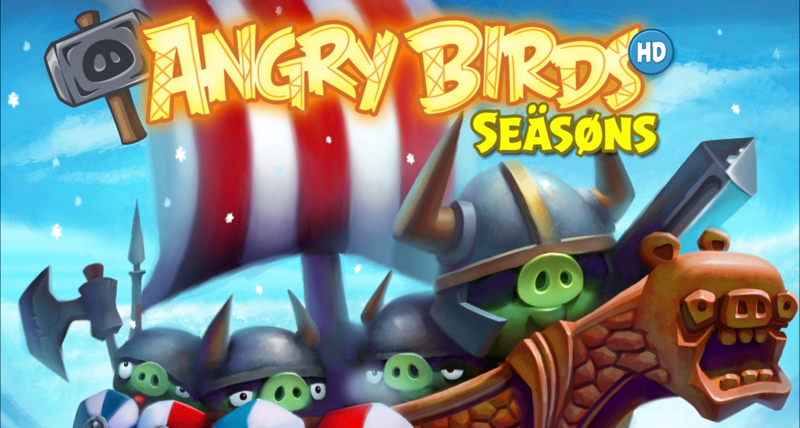 I started playing Angry Birds Seasons, specifically the winter themed game within the Angry Birds Seasons collection of games. The game works a bit like an advent calendar, where each day you get to open up a new door/level in the game. The game starts on December 1st and the last stage or level is opened up for play on Christmas Day, December 25th. It's pretty much the only time all year that I play Angry Birds and it has become a tradition for me. If you get a full 3-starts on all 25 levels then you get to play a bonus stage. Every year there are at least a couple of levels that are really difficult for whatever reason to get 3 stars. But its all part of the challenge. So starting on December 1st every year I start playing my Angry Birds game again. Typically I get up in the morning, grab me a cup of coffee and play for a few minutes. I would love to say that I curl up by the fireplace, but I live in Florida so that just doesn’t happen (although it did happen one year when we went back to Kansas for Christmas). If I don’t beat the level within a short amount of time then I pick it up again in the evening before bed. If I am still playing that same level into the next morning I may punt and look up a “how to beat this stage” video, but only if I am really desperate. After all, traditions should be fun and not frustrating right? What I like so much about this tradition is that is lasts for 25 days. It is also nicely spaced out across the holiday season, so it gives me lots of little breaks and something to look forward to each day. It also has more than one way to beat each level, although typically there is only one way to rack up enough points to get the coveted 3-stars.